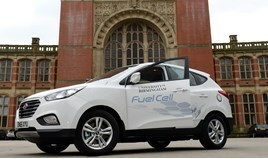 With the government predicating 1.5 million hydrogen fuel cell electric vehicles (FCEVs) on the road by 2030, who is going to push the advancement of this clean air technology to make this a reality? Well British companies, that’s who! I’ve just read a great article on some of our forward thinking, trailblazing, technology advancing companies on The Guardian online that once again points out just how important a part British companies are playing in the latest clean air technology. British entrepreneurs are leading the way in making this technology accessible, with companies such as Sheffield based ITM Power, Welsh company Riversimple and Liverpool based ULEMCo all pushing the frontiers and breaking through the boundaries to make this a reality. Why is this important? 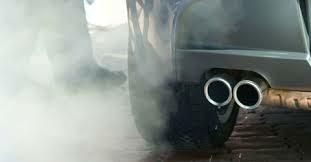 Well apart from the obvious global targets we have to meet for emissions reducing transport, we need to remember that over 50,000 people a year in Great Britain die from pollution related illnesses. This clean air technology is seen as the way forward, but at the moment viewed as expensive and inaccessible. But hopefully not for much longer with British companies such as these addressing infrastructure, vehicle and conversion issues. This is great news for Great Britain plc and long may this continue.